What began as a good deed from a substitute teacher has grown into a full-blown nonprofit organization. David Johnson Jr., of Hammond, La., decided to purchase some Air Jordans for a young student in one of the classes he substitutes for after hearing her compliment his own sneakers and mention that she'd always wanted a pair of Nikes. From there, Johnson teamed up with his cousin Tyron Tillis Jr., and the two began picking pairs out of their collections that they could do without. Johnson started doling pairs out to kids in his classes that were in particular need or that he felt deserved them based off their hard work. Eventually the duo started hitting local sneaker shops and grabbing pairs off the sales racks to use for their efforts. 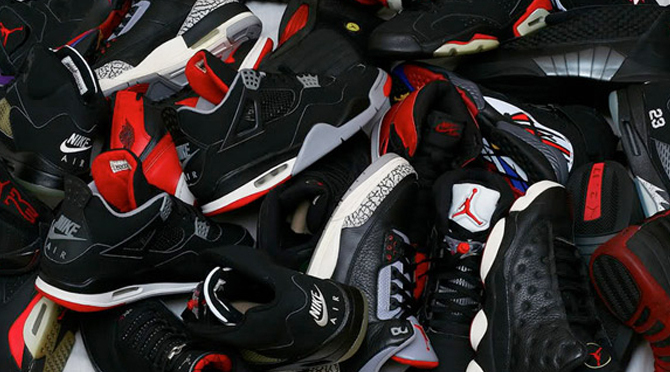 In total, the two gave out 50 pairs last year. Their work has continued, and they've now secured a grant through their day-jobs that has given them money to purchase 200 more pairs of sneakers through their program, called Sole Givers. Sole Givers plans to give the sneakers away at an August 8 event at the Amite Community Center in Amite City, La.